20th Century Fox plans movies on Android | What Hi-Fi? Film downloads are coming to Google's Android smartphone and tablet platform later this year, according to this morning's Financial Times. 20th Century Fox is planning to include an Android digital download with Blu-ray discs released from this October, in the same way that iTunes digital downloads are already available. 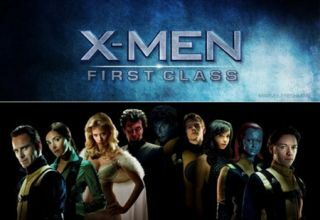 The first release is expected to be X-Men: First Class, which will be available as an Android-compatible digital download from Fox's website. Fox says the Android download service – said to be the first of its kind – will initially be available in the UK, US, France and Germany. Vincet Marcais, senior vice-president at 20th Century Fox International Home Entertainment, says: "Given its strong growth as a mobile operating system, the support for Android is an important move for us because it further enhances Blu-ray discs as the best way to get your movies to all your screens." 20th Century Fox is also developing smartphone and tablet apps for Android and Apple devices. In recent months Google has launched a digital movie rental service for Android in the US, while Netflix, the film streaming service, launched an app for some Android phones in May.